CEDAR CITY – This year marks the 100th anniversary of the end of World War I. To commemorate this centennial event, Southern Utah University and Project Archaeology are holding a free community presentation Thursday funded by a Utah Humanities grant that will explore the work that goes on to return the remains of soldiers who die abroad to their families. World War I was the first war that left large numbers of American citizens buried abroad, many of them lacking identification. In the years that followed the end of the war, the U.S. and other countries created monuments to those unidentified soldiers to honor their ultimate sacrifice. 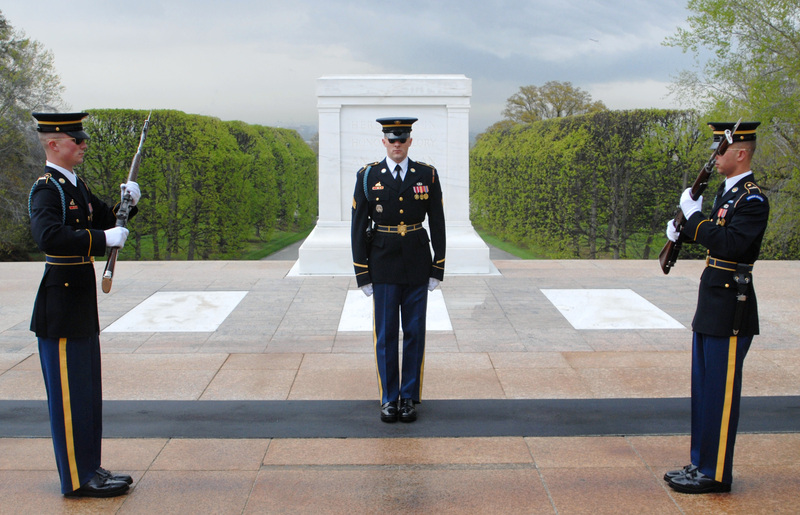 The Tomb of the Unknown Soldier at Arlington National Cemetery in Virginia is the final resting place for three soldiers: one killed during WWI, one from WWII and one from the Korean War. Over time, there have been changes in the fate of soldiers who die in the line of duty. For one thing, the option to bury soldiers abroad ended in the Korean War. Advances in forensic science have meant that almost every fallen soldier can now be identified, even if they suffered significant injuries. On Thursday at 7 p.m, Penny Minturn, a forensic anthropologist employed by the U.S. Government Defense POW/MIA Accounting Agency, will deliver the presentation”Frontline Forensics: Changing the Fate of the Unknown Soldier” at Cedar North Elementary in Cedar City. The presentation is free and open to the public. Minturn will describe her work excavating and identifying the remains of missing soldiers and how she has been able to work with people around the world to bring these soldiers back to their homeland. Minturn has had a long and varied career, and most recently she has been selected as one of the scientists who will work to identify the soldiers recently returned from North Korea. In addition to Minturn’s presentation, the evening program will feature local retired Naval Captain Ron Lewis, a former Navy helicopter pilot who has dedicated his retirement years to raising awareness about the POW/MIA issue. There will also be a brief choral performance by students from Canyon View High School. What: “Frontline Forensics: Changing the Fate of the Unknown Soldier” presentation by Penny Minturn. When: Thursday, Oct. 25, at 7 p.m.
Where: Cedar North Elementary School gymnasium, 550 W. 200 North, Cedar City. Additional information: Contact Shiree Roberts at robe0643@suu.edu. A “new” Defense POW/MIA Accounting Agency (DPAA) was created to replace the scandal plagued Joint POW/MIA Accounting Command (JPAC). Before quitting after less than a year on the job, the “new director” simply reassigned the previous JPAC Scientific Director to be in charge of “partnering with private groups”. What this “partnering” turned out to be was the giving away of millions of taxpayer dollars in annual contracts to “non-profit” corporations to do DPAA’s primary job: recover remains of MIA’s. With no apparent ethical oversight by DPAA, some of these same government contractors actively continue to solicit contributions claiming to be “non-profit” charities. Huge multi-million dollar contracts are doled out under the guise of “health and human services”. This obvious unethical practice is just another example of the past arrogance and abuse by this same old group of poor leaders and managers who continue to remain in functional control of the “new” organization. Disgraceful! And, in a almost comic opera “deja vu all over again” the Department of Defense announced in September 2017 that it had appointed a former JPAC commander as the “new, new” director of the Defense POW/MIA Accounting Agency. This is the very same person who had steered the agency, known by its employees as “Dysfunction Junction”, into its final demise and lost his own job under a torrent of Congressional criticism in 2015. Sadly, the government’s idea of the massive reform necessary after JPAC was disbanded was a superficial name change of the organization and re-shuffling the same poor executives and laboratory managers to new desks and titles in a brand new $85 million dollar building in Hawaii. Disgraceful! JPAC had many dedicated men and women in non-management roles who believed in the mission: researchers, military recovery specialists, and field investigators who hack through jungles, climb mountains, and wade rivers only to be sabotaged in their work by a completely dysfunctional command. Those few essential workers that remain at DPAA are dismayed, disillusioned, disheartened, and disgusted at what they experienced at JPAC and what they now see as a lack of action at DPAA in holding those responsible accountable for the abysmal failures of their leadership. Disgraceful! DPAA continues to leave unaddressed a long pattern of dysfunction, ethical violations, inefficient practices, wasteful and poor management, lack of leadership, pending complaints of sexual harassment, EEO violations, criminal investigations, lawsuits, and complaints of managerial reprisal that were detailed in scathing official reports by the Inspector General’s Office and the Government Accountability Office. Even more complaints have been added since JPAC was disbanded. The group of serial offenders responsible for this ineptitude is the same group that brought us multiple outrageous scandals including phony “arrival home” ceremonies and the fraud, waste and abuse of government funds that currently produces only five or six dozen field identifications a year by DPAA and its highly paid contractors. Disgraceful! Meanwhile the JPAC/DPAA management mantra of “Delay, Deny, and Wait for the Families to Die” continues. DPAA continues to practice JPAC’s process known to those who worked inside the organization as “Slow Rolling” of families and researchers who ask for documents by drawing the process out until forced to respond by political pressure or legal intervention in the hope that the requestors will simply give up and go away. Federal law requires that information requested under the Freedom of Information Act (FOIA) be provided within 20 days. The response time by DPAA to supply basic documents to families and researchers under the is now approaching THREE YEARS per request! DPAA routinely violates FOIA without consequences and the Department of Defense seems powerless to control DPAA. Disgraceful! Anyone with any management experience knows that the entire operation that was JPAC should have been deconstructed, brick by brick. Such needed massive reform simply did not happen. Just when families of our missing servicemen and women thought things could not get worse, it did. The same infectious disease of JPAC arrogance and lies to the families of American heroes took root all over again at DPAA. This incredibly dysfunctional organization continues to operate in a “Business as Usual” mode. The JPAC/DPAA disaster has been added to the infamous VA Hospital, Dover Mortuary, Arlington Cemetery, and the Viet Nam Unknown Misidentification debacles.